Amy Morin is a licensed clinical social worker, psychotherapist and a lecturer at Northeastern University. She's a regular contributor to Forbes, Psychology Today, and Inc. She's also a parenting expert for Verywell. 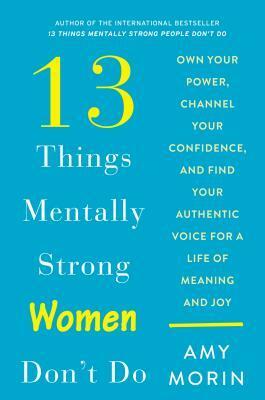 Her article, "13 Things Mentally Strong People Don't Do," has been viewed by more than 50 million readers. Her book explains the personal story behind that article and provides practical ways to avoid those 13 common pitfalls that can hold us back from reaching our greatest potential. 13 Things Mentally Strong People Don't Do is an international bestseller that has been translated into 25 languages. Her next book, 13 Things Mentally Strong Parents Don't Do, goes on sales in September of 2017.